Malaria is the most famous disease carried by mosquitos, but it's not the only one. In fact, for Caribbean travelers, the bigger threat is posed by dengue fever, a mosquito-borne illness that has claimed millions of victims in the Caribbean and the Americas over the past few years. Chikungunya, a painful new illness that has affected some Caribbean islands, also is spread via mosquito bites. And of course, the biggest new culprit is the Zika virus, a fast-spreading mosquito-borne illness suspected of causing brain swelling among babies of pregnant women infected with the disease. You shouldn't let the fear of these illnesses make you reconsider a Caribbean vacation, any more than you would let tick-borne Lyme Disease prevent you from visiting New England. But don't underestimate the threat either: some simple, sensible preventive steps from the U.S. Centers from Disease Control (CDC) can help you avoid taking home an unwanted tropical souvenir from your visit. Where possible, stay in hotels or resorts that are well screened or air-conditioned and that take measures to reduce the mosquito population. 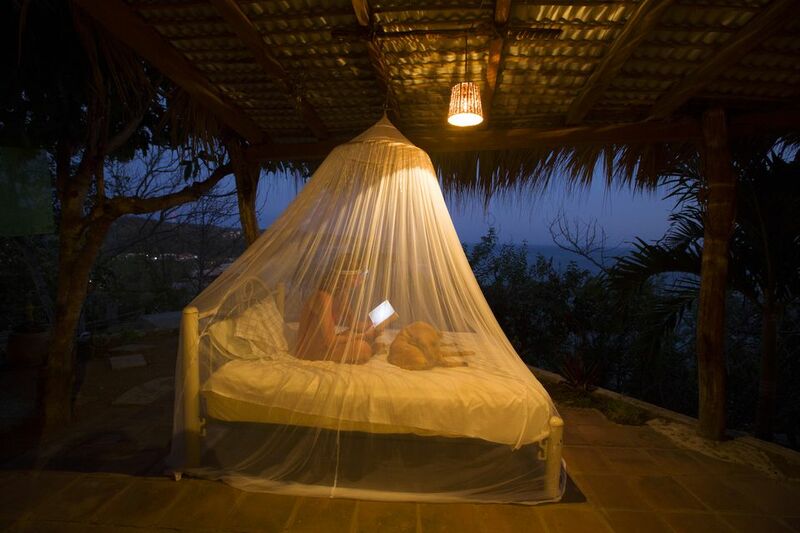 If the hotel room is not well screened, sleep under bed nets to prevent mosquito bites. When outdoors or in a building that is not well screened, use insect repellent on uncovered skin. If sunscreen is needed, apply before insect repellent. Look for a repellent that contains one of the following active ingredients: DEET, picaridin (KBR 3023), Oil of Lemon Eucalyptus/PMD, or IR3535. Always follow the instructions on the label when you use the repellent. In general, repellents protect longer against mosquito bites when they have a higher concentration (percentage) of any of these active ingredients. However, concentrations above 50 percent do not offer a marked increase in protection time. Products with less than 10 percent of an active ingredient may offer only limited protection, often no longer than 1-2 hours. The American Academy of Pediatrics approves the use of repellents with up to 30 percent DEET on children over two months old. Protect babies less than two months old by using a carrier draped with mosquito netting with an elastic edge for a tight fit. Dengue causes high fevers, body aches, nausea, and can even be fatal in some cases. It is most prevalent in the Caribbean's rainy season (May to December). Cases have been reported in such far-flung destinations as Puerto Rico, the Dominican Republic, Trinidad and Tobago, Martinique, and Mexico? -- even in more arid environments like that in Curacao. If you experience any of the above symptoms during your trip or shortly after returning home from the Caribbean, see a doctor immediately. For more information, see the CDC's Dengue information page. Malaria symptoms include fever, chills, and flu-like symptoms. It can be fatal if left untreated. The disease is relatively common in the Dominican Republic, Haiti, and Panama, and also occurs in other parts of the Caribbean, Central America, and South America. For more information, see the CDC's Malaria page online. Fever and joint pain are the most common symptoms of Chikungunya; there is no vaccine or medication for the illness but the virus is usually cleared within a week. Zika symptoms are relatively mild to adults who are bitten; the bigger threat is to unborn children, so women especially need to take steps to avoid Zika-carrying mosquitos, which generally bite during the daytime. Always make sure before your trip to find out if there are certain immunizations you need for the Caribbean. There are plenty of resources online that can help you figure out the best ways to stay healthy on your Caribbean vacation or holiday.